I'm starting another project, like I need another project, and would like some help. Worm Farming and or Black Soldier Fly Farming. First a need a positive ID on my little friends. 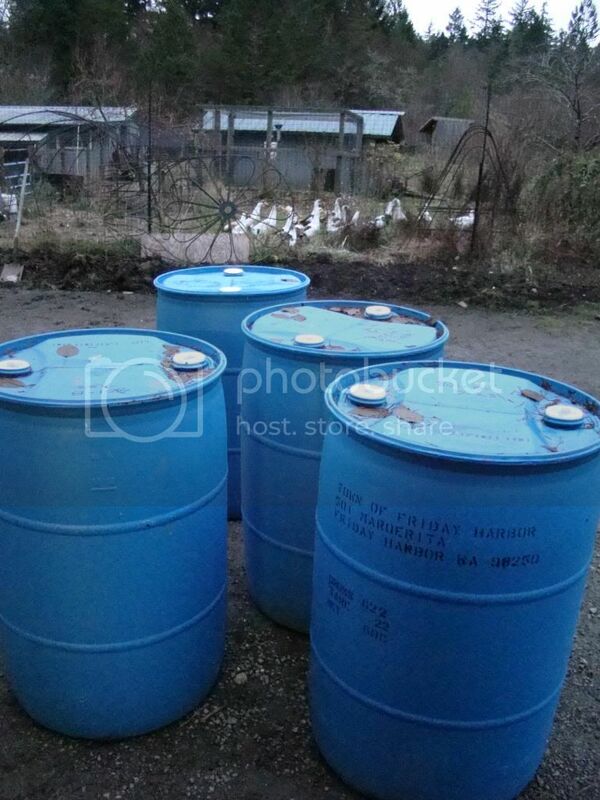 In the first picture are my 4 plastic barrels I picked up today. Free. In the back ground is a white 5 gallon bucket hanging in my duck's night pen. I've been adding vegetable scraps and roasted chicken scraps into this bucket hoping to attract Black Soldier Flies. This what I found. White grubs. I think these are young Soldier Fly larva? 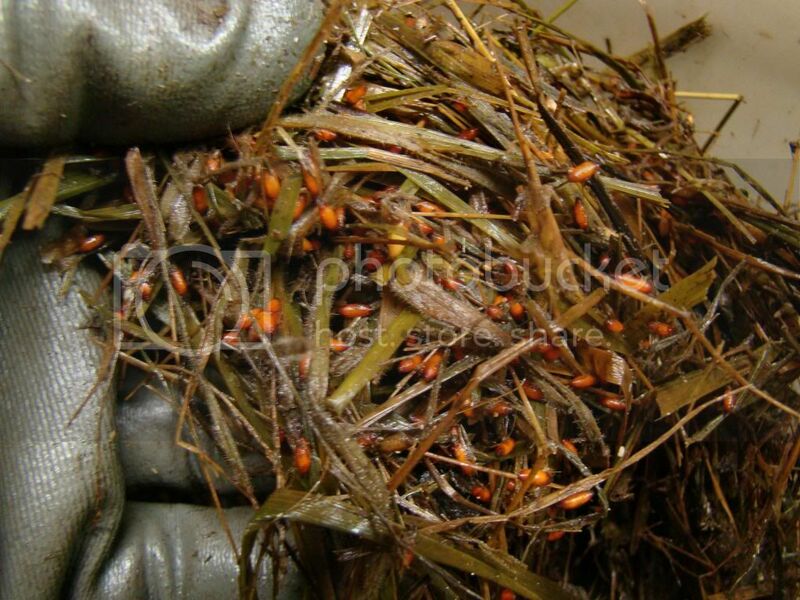 and these Orange-red eggs / cocoons. I've done a little research with nothing positive. Any idea what the cocoons are? Oh crap! I think I have House or Stable flies. Bummer!! I think you're right, those aren't Soldier fly larva. This is first I've heard that they are beneficial. 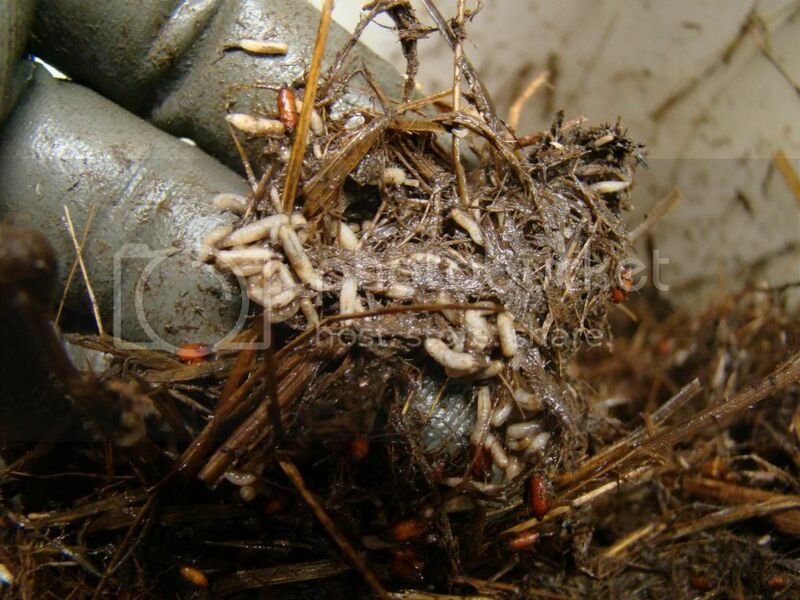 I had a bunch of the larva in our compost bin before and have seen those black flies around...didn't make the connection I thought they were a pest, live and learn. Those are nice barrels. Well, Looks like the ducks will have a feast tomorrow. That eliminated the next several questions. I'll move on to cutting the barrels in half lengthwise. I was hoping to use our bandsaw sawmill. Lock them in place with the log dogs and rip them in half. Brother nixed that idea. 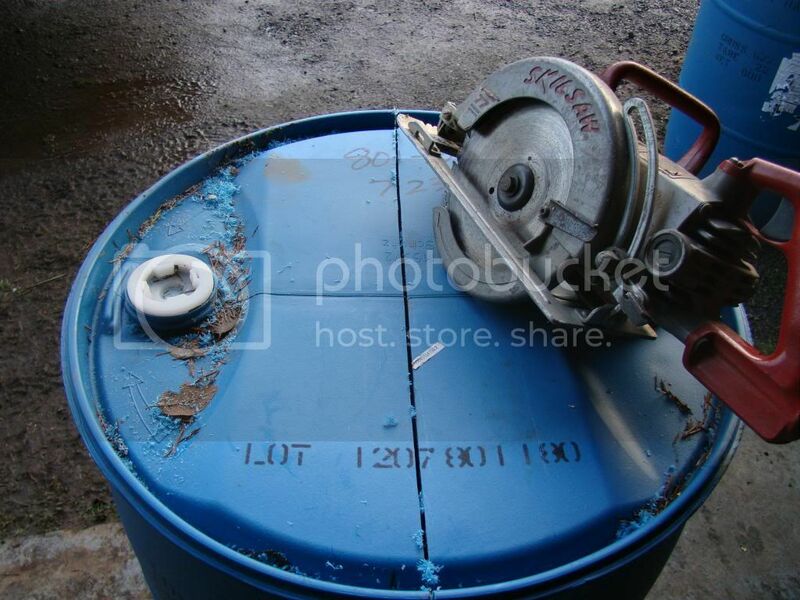 Even if we tried it, it would have contaminated the sawdust with plastic. I'll have to come up with a jig and cut them with my worm drive. Sounds like an interesting project, Eric. You are brave, though having ducks as the cleanup crew must help! There was a very long thread on BSF a couple of years back with all kinds of details and links. I remember reaching the conclusion that I probably wouldn't be trying BSF composting. ...even if I were not squeamish (big IF there ) winter climate here would mean I could only keep them during the warmer months and would have to renew the stock every spring somehow. Cutting the barrels -- as I was reading the part about the sawmill, I had a vision of those tough barrels warping and locking up in the teeth as soon as they were cut into. Good luck and let us know how the cutting goes -- what is a worm drive? I've always thought that the barrels cut lengthwise might make good planters if there was a way to support them, but I can't picture myself ever managing to cut them. 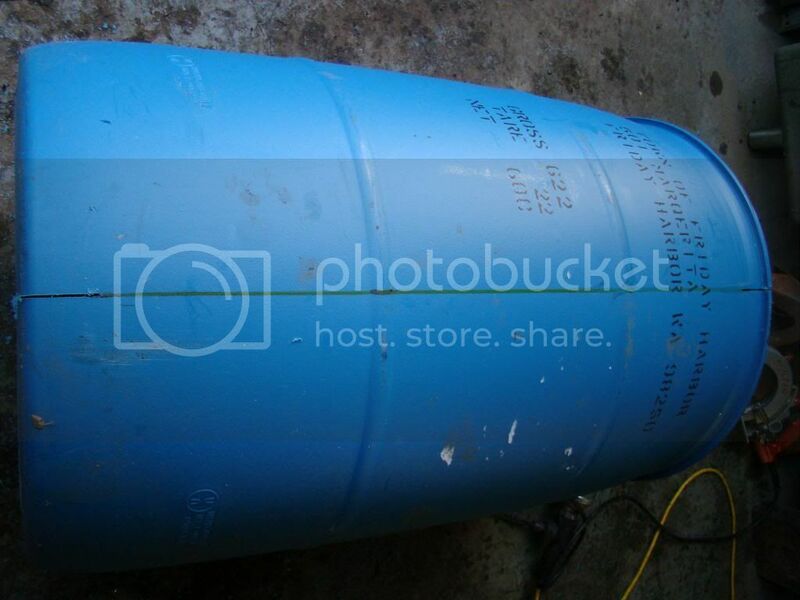 Those are plastic barrels, not metal? 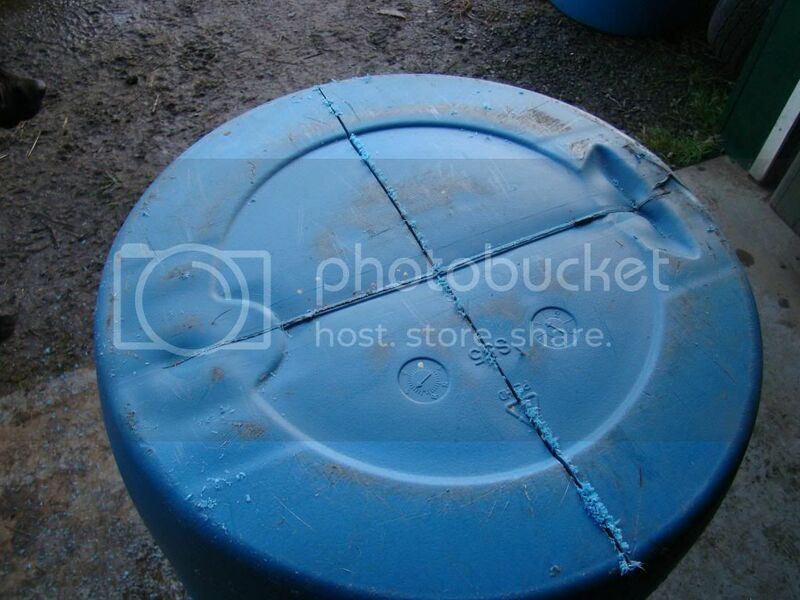 I cut a couple plastic barrels like that in half crosswise (not lengthwise) to make towers for growing potatoes in. I just used my chain saw to cut them. Worked ok for me. I agree those don't look dark enough to be BSF larvae. I have a worm bin in my basement again this winter. It seems to spontaneously generate BSF larvae. I think they come in with the fall leaves I use for bedding (or something, I don't really know). I keep pulling them out, because I don't want the BSF's hatching out inside. At one point, I found a little nest, with maybe 1/4 cup of them all together. Pulled them all out and put them on a tray for the birds outside. I raise bsf every year. I advise you don't mix them with worms. Or your worm bin will turn into a bsf bin. Bsf poo attracts lots of egg laying bsf adults. I would just cut them in half from the side not down the length. 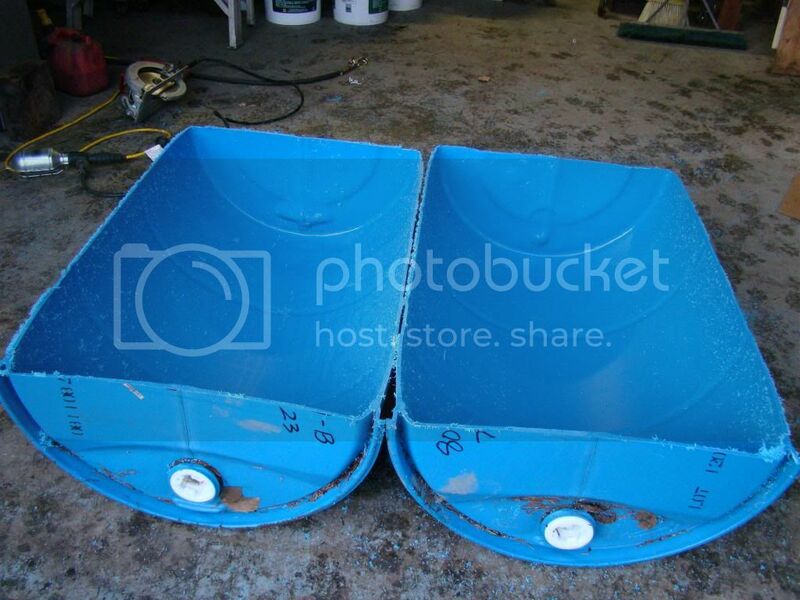 Round bins are more efficient at self harvest. The best attractant for bsf I've ever found for starting a new colony is spent brewers mash. Fill a five gallon bucket half way with fresh spent brewers mash. It must be moist from the brewing process. Cover lightly and let rot. Put aside because it will smell at first. 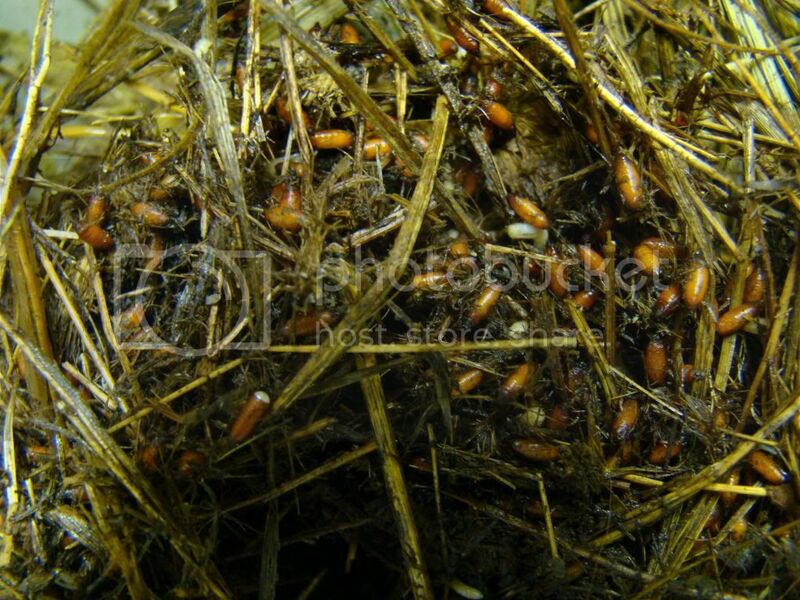 After a few weeks you should have lots of young bsf larva to go in your bin. Another thing to note is to make the lid strong, mice and rats love bsf larva. And will destroy a colony. In the end they are amazing waste reducers and waste converters. Poultry and fish will thrive on a diet of bsf and fresh greens. Worm drive circular saw. Most people call them Skillsaws and that is the brand I own. Mag 77. Some say to put the blade on backwards for cutting plastic. soil wrote: I raise bsf every year. I advise you don't mix them with worms. 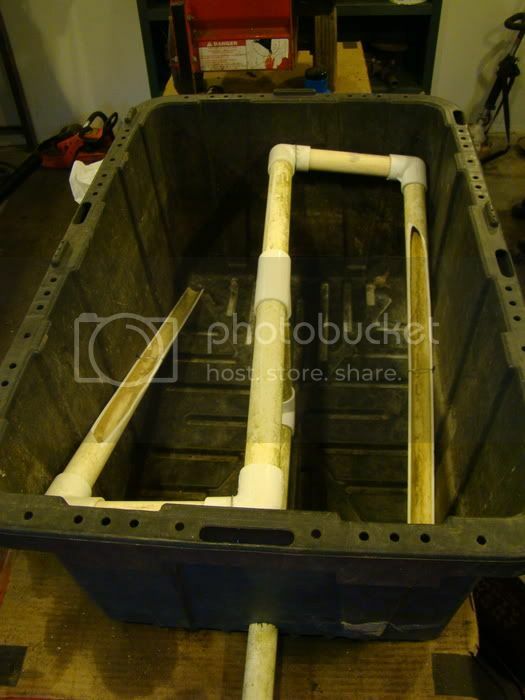 Or your worm bin will turn into a bsf bin. Bsf poo attracts lots of egg laying bsf adults. I'm really more interested in worm farming and was thinking BSF was just a bonus. Good to know not to mix. Soil, I could use a little more information on the half round barrel concept. Are you stacking them? In this video they are cut lengthwise and stacked on a tree system. http://www.youtube.com/watch?v=ZG4e3uik9uw Not sure how he harvest the castings. Maybe he has a shaker or trommel. I'd also like to harvest the worm Leachate like in this video. http://www.youtube.com/watch?v=2SuBT7Su ... sults_main I think she's funny and I quote " his name is Peter Paul and He's married". Peter, Paul and Mary. applestar wrote: Sounds like an interesting project, Eric. You are brave, though having ducks as the cleanup crew must help! If you want to buy black soldier fly larvae I will post a link down below. They are a very common reptile food in the reptile industry. In the reptile industry they go buy different names but they all specify black soldier fly larvae. Cut the first barrel with my Skillsaw. Worked really well. No melting, binding. 4 Cuts done. What i meant was cutting it in half so you have two short barrels. Too late now. It bsf goo. But youll get like 50 lbs of bsf. Keep going! So what does one DO with 50 pounds of black soldier flies!? soil wrote: What i meant was cutting it in half so you have two short barrels. Too late now. Too lat now. I have three more barrels. Earlier you said self harvesting. What type of ramp do you use. Here is one of my attempts at a self harvester.